Ballet, a collective shared experience of expression driven by human imagination. Art can make promise of the possible. John Alleyne was the person who, by example, taught me how to prepare dancers for the stage. While rehearsing with him, he inspired all of us to dig deeper into the details of movement, deeper than I had ever realized was possible, thereby developing a finely honed connection between brain and body. This experience has elevated my level of expertise considerably–to the point where my eye is considered a valuable commodity in a rehearsal process today. I am so grateful to John for so many reasons. I would not be where I am today without having had the privilege of working with John for a significant part of my earlier career. In my experience as an audience member from the earliest days of John's involvement as the Artistic Director at Ballet BC through my privileged role working in partnership with him as the Executive Director at Ballet BC, I have been consistently inspired by the remarkable artistic vision of John Alleyne. John’s vision has resulted time and again in works of art that not only entertain and delight audiences but have the power to transform artist and audience alike: to redefine beauty and dance but also to help us see ourselves and each other in the fullness of all of our humanity. John Alleyne has offered me three of the most profound creative experiences in my artistic career. And in that time I've watched him develop his powerful and richly composed creative voice in remarkable and inspired ways. John is one of the most important artists in the cultural history of Canada's West Coast. His is a voice no less vital and courageous than Jack Shadbolt, Emily Carr or Douglas Coupland. John Alleyne and I first worked together early in his tenure with Ballet BC. Since then, I have come to highly regard John’s creative drive, intense loyalty and core values of respect and integrity. John continues to inspire me personally and professionally. My interactions with him leave me motivated to reach even higher to achieve my goals and intentions. John Alleyne was born in Barbados and immigrated to Canada with his family in 1965. After graduating from The National Ballet School in Toronto in 1978, he joined the Stuttgart Ballet where he began his choreographic career, creating numerous compelling works for the Noverre workshop and the company’s repertoire, including Phases (1983), In Variation on a Theme (1984), as well as his first commission, Weiderkehr (1985). In 1984, Alleyne returned to Canada and joined The National Ballet of Canada as a First Soloist, accepting the position as the company’s resident choreographer from 1990 to 1992, creating “innovative and challenging works,” including Blue-Eyed Trek (1988), Split House Geometric (1989-1990), and Interrogating Slam (1991). Alleyne began his association with Ballet British Columbia (Ballet BC) in the late 1980s when he was invited to choreograph several new works for the west coast company, among them Flying To Paris (1989), Go Slow Walter (1990) and Talk About Wings (1991). Alleyne was appointed Artistic Director of Ballet BC in 1992. His leadership marked the beginning of a creative and prosperous period in the company's history where he created one act and full-length ballets to expand Ballet BC’s contemporary ballet repertoire. Alleyne implemented assertive outreach strategies for strengthening the company’s identity locally, nationally and internationally. He developed collaborative approaches to choreographing and presenting contemporary work, evolving a signature Ballet BC style, and actively encouraged artists from various mediums to partake in the spirit of creativity and innovative thought inherent within the company. Dedicated to the development of his craft, Alleyne’s choreography is noted for its technical complexity and innovative expansion of the classical ballet lexicon. A bold, dynamic creator, Alleyne raised the profile of Ballet BC with his contemporary ballet choreography, showcasing such works as The Archeology of Karl... A romantic adventure (1993), Three Visible Poems (1994), The Don Juan Variations (1995), Can you believe she actually said (1995), Remember Me From Then (1996 with Peter. Goldberg (1998), Schubert (1999), The Faerie Queen (2000, adapted and filmed by CBC), Orpheus (2002) Scheherazade (2002), Carmina Burana (2004), The Rite of Spring (2005), A Streetcar Named Desire (2006), and The Four Seasons (2008). 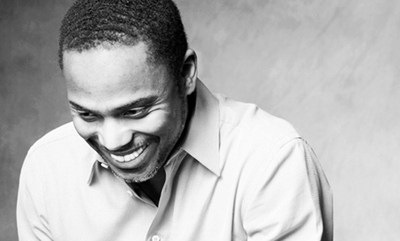 During his tenure at Ballet BC, Alleyne developed audience awareness and greater accessibility and appreciation of dance through numerous community outreach initiatives and educational programs, which directly supported the environment of innovation and creativity inside the company dynamic. These community outreach initiatives and educational programs included ‘Pre- Performance Chats’, ‘Studio Series’, ‘Kids Club’, ‘School Shows’, and ‘The Greater Vancouver Regional District (GVRD) tours’ to the necklace of communities outside of Vancouver, ensuring children and audiences from various backgrounds were given the opportunity to experience live dance performance in an intimate environment. Ballet BC’s annual international Summer Dance Intensive and Mentor Program were also established by Alleyne to provide rigorous training to students preparing to make the leap to professional dancer. A number of internationally respected companies, festivals, and institutions have commissioned new choreography from Alleyne performed as part of a variety of festivals, co-productions, and special events, including the Canada Dance Festival, the New York City Ballet's Diamond Project and the San Francisco Ballet's celebration of the 50th Anniversary of the United Nations – United We Dance, the Dance Theatre of Harlem, Les Ballet de Monte Carlo, the National Arts Centre, the Banff Centre for the Arts, and EDAM with the Firehall Arts Centre. Alleyne is the recipient of many prestigious awards acknowledging his outstanding contribution to the world of dance. He was the recipient of Toronto’s Dora Mavor Moore Award for Outstanding New Choreography for Interrogating Slam (1992); the Harry Jerome Award for Professional Excellence from the Black Business and Professional Association (1993); the first-ever honorary Doctorate of Fine Arts from Simon Fraser University (2003); the Vancouver Arts Award for Performing Arts, recognizing extraordinary achievement and promise (2004); the Exceptional Achievement Award in the Performing Arts from the Black Historical and Cultural Society of British Columbia (2005); and he was a keynote speaker at the Golden Key International Honorary Society at the University of British Columbia (2006).